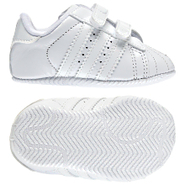 Adidas - Superstar 2.0 CMF Shoes One of the most popular adidas shoes of all time the Superstar gets scaled down for infants and toddlers. The adidas Superstar 2.0 CMF features a soft leather upper hook-and-loop closure and rubber shell toe for classic style. Adidas - Superstar 2.0 Shoes An adidas Superstar for every generation. This infant version of the adidas Superstar 2.0 shoes has a soft full grain leather upper and the iconic shell toe for your future sneaker freaker. 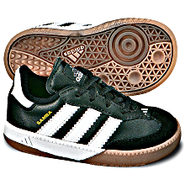 Adidas - Samba Millennium Infant Shoes Start your little kicker on the right foot or maybe the left in soft durable leather. Nine West - Infant Girls' Faye 2 Crib Ballet Flats from Finish She'll get glamorous fun ballet style in the adorable Nine West Infant Girls' Faye 2 Crib Ballet Flats. Pretty yet durable these shoes are built to meet her high style and performance demands. UGG - Infant Fluff Ballet Flats pairs shimmering satin and plush faux fur on these Infant Fluff ballet flats for a comfy accent that helps keep tiny toes cozy. UGG - Infant I Erin Booties Protect those precious little toes from the cold with the cozy plush fur lining on these Infant I Erin booties by Ugg.